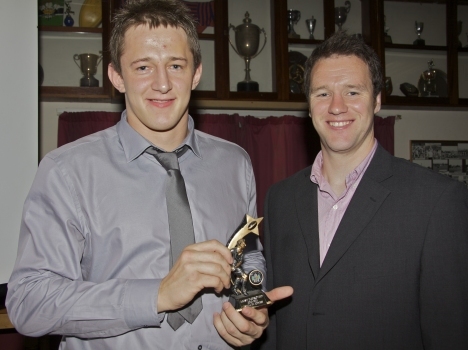 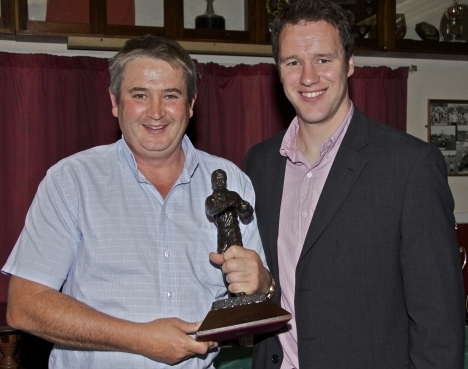 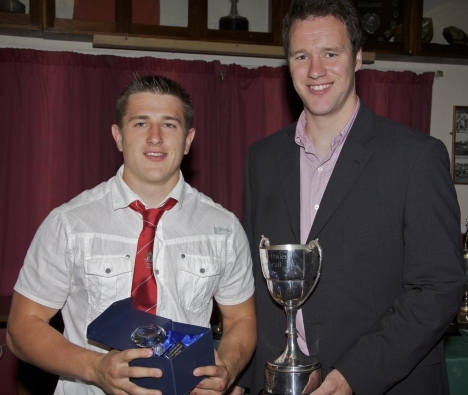 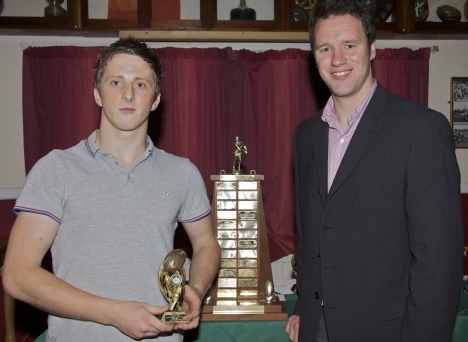 The Club dinner on Friday 3 June included Awards being presented to the winners for the 2010-11 season. 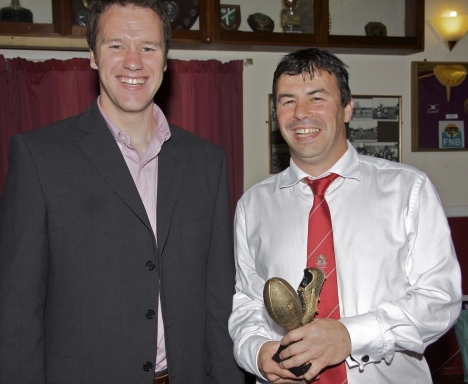 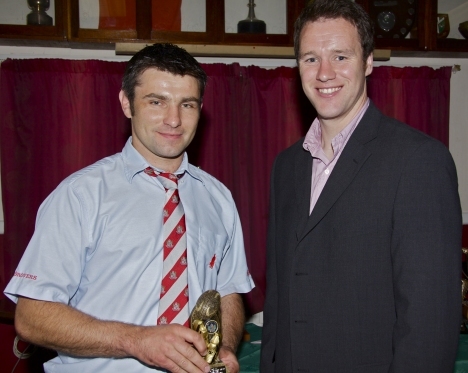 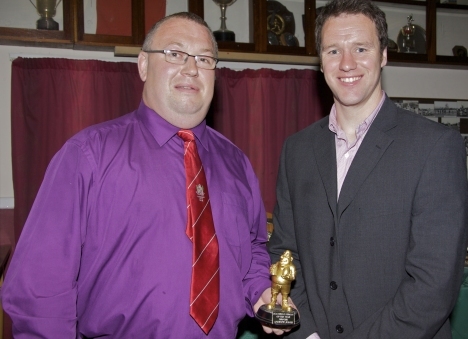 Presenting the awards was Mark Jones, of Wales and the Scarlets, and an ex-Drover to boot. 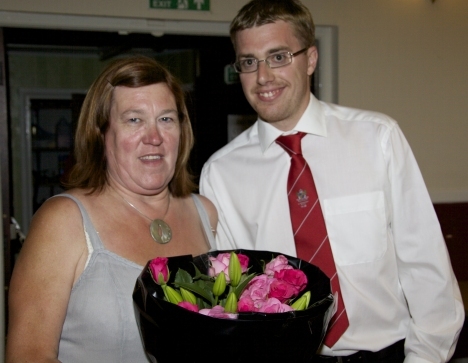 The following photos are courtesy of Wil Theophilus. 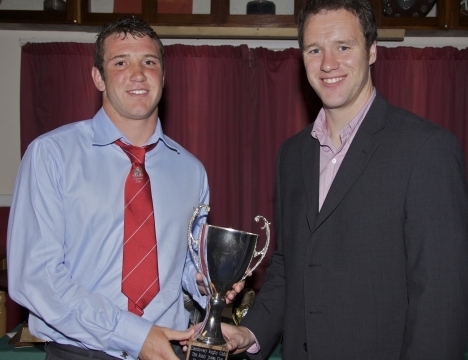 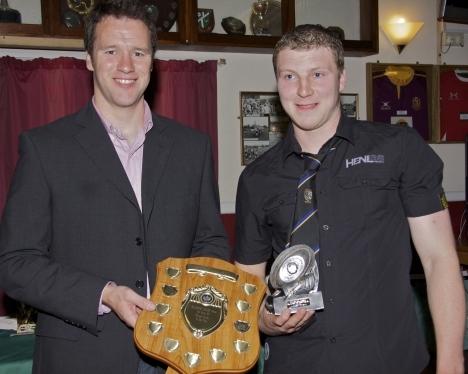 Adam Warren receives three awards – Player of the Year, Players’ Player of the Year, and Most Tries scored. 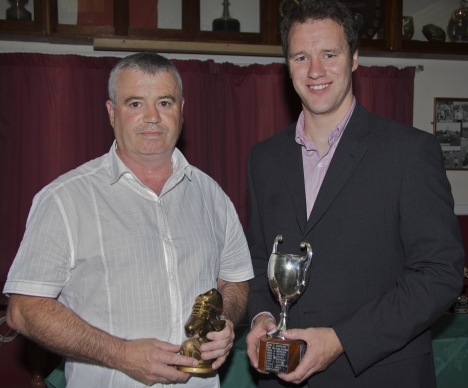 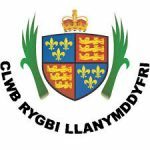 Llandovery Junior Drovers Helpers – for Outstanding services, received on behalf of the Juniors’ many coaches and helpers by the Juniors’ Chairman Carwyn Williams.